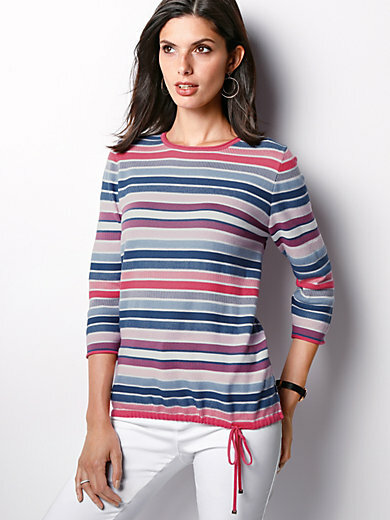 Round neck jumper by RABE with 3/4-length sleeves. New-look summer jumper – thanks to the drawstring in the hem, you can adjust the silhouette. Multi-coloured striped pattern. Loose-knit, summery yarn in 50% cotton, 50% acrylics. Length approx. 25ins. The round neck jumper is machine washable.